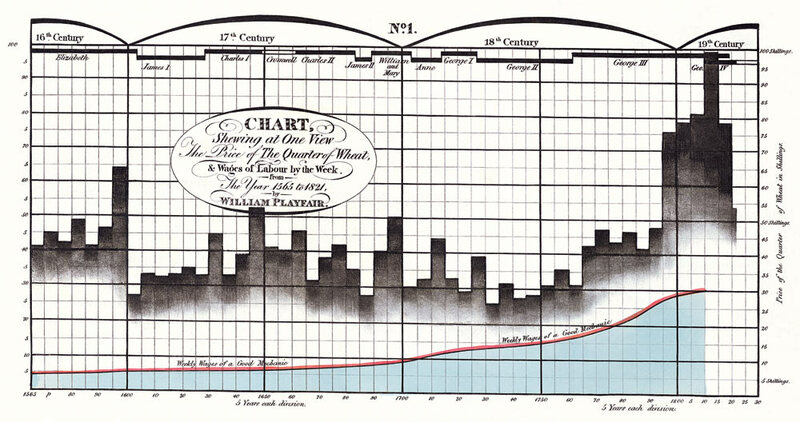 and Bar Chart chart of economic data, and in 1801 the Pie Chart and circle graph, used to show part-whole relations. Recreation of some Playfair Charts can be found here. Some legends (I have to see a prove of them yet) attributed to Munehisa Homma (also known as Munehisa Honma, Sokyu Honma and Sokuta Honma) the invention of Candlestick Charts way before (around 1755?) 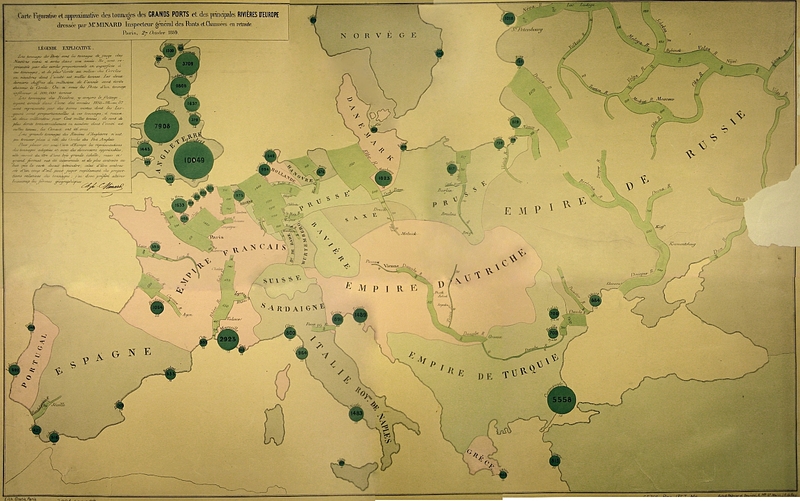 first Charts was used and published in western countries. She showed in a visual graphic that it wasn’t wounds killing the highest number of soldiers – it was infections. This Radar (or Polar?) 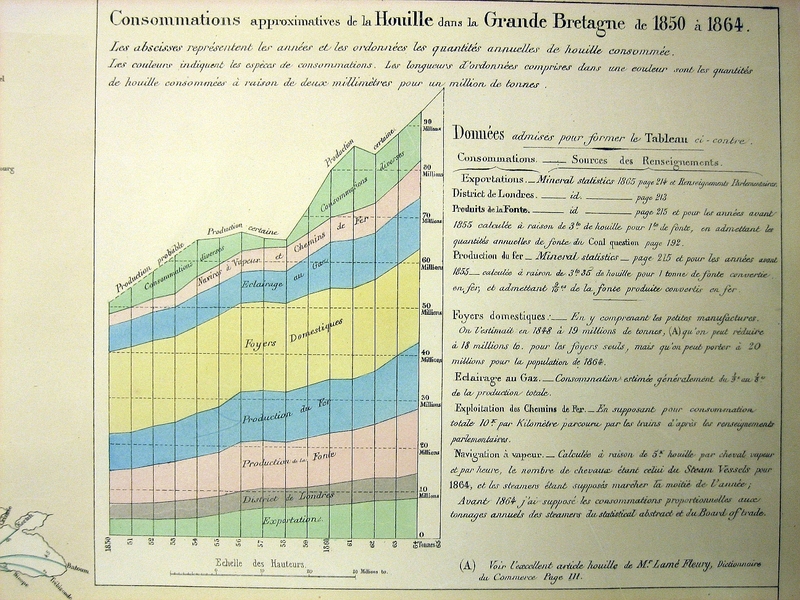 Chart was done in 1859. 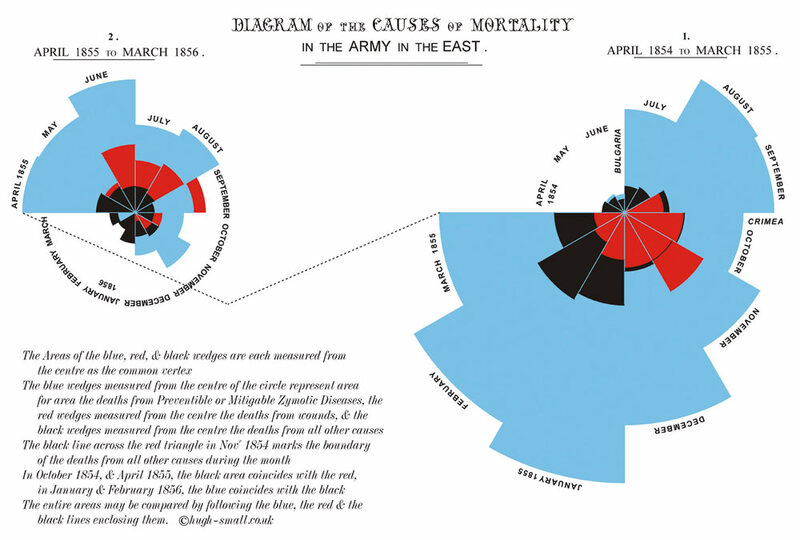 However, as I said in a beginning, some Data Visualization techniques was known and used even before William Playfair. At least 266 years ago in Japan Munehisa Homma invented (again it is a Legend, because even Steve Nison has no copies of original hand-drawn Japanese Candlestick Charts from 18th Century) Candlestick Charts, which eventually became a part of Financial Visualization and they were reused for Stock Charts (a combo of daily Trading Volume and Open-High-Low-Close Multiline Chart of Daily prices).